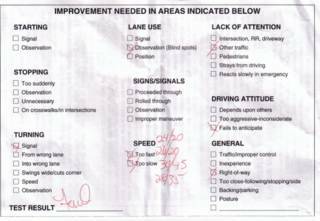 WAIST HIGH: Driving Attitude? "Fails To Anticipate." Driving Attitude? "Fails To Anticipate." 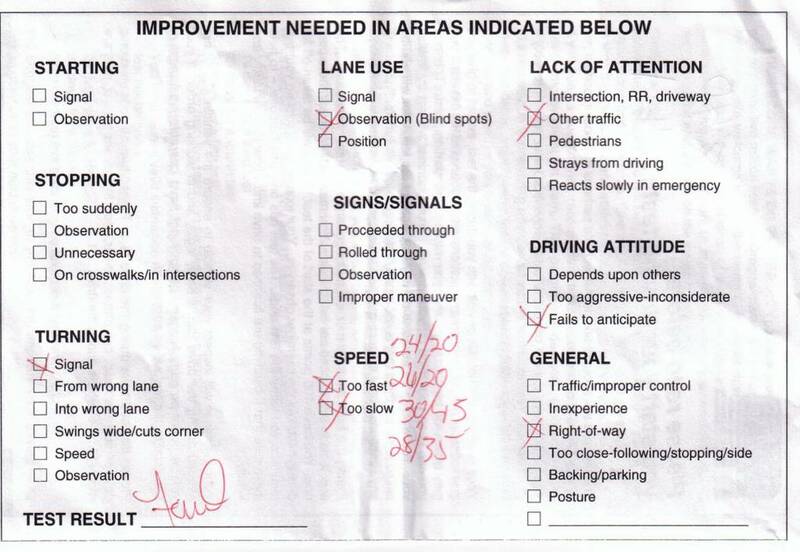 I love my 16 year old daughter, but I could not resist scanning her driving test and then posting it on the internet.